CONPIN fan powered heating convector features large heating capacity, fast temperature rise, low noise and accurate in temperature control. CONPIN Electric Heated Air Curtain is equipped with low noise centrifugal blowers and aluminum finned heaters, thus CONPIN Heated Electric Air Curtain characters in long air supply distance, large heating capacity, and excellent reliability. In addition, the air outlet temperature is adjustable for better environment control. For better safety, multi safeguard measures are adopted. CONPIN new factory imported the latest generation Metal Sheet Laser Cutting Machine, Electro-Hydraulic Servo CNC Bending Machine, CNC plasma cutting machine, Numerical Control Turret Punch Press, etc. CONPIN fan powered heating convector features large heating capacity, fast temperature rise, low noise and accurate in temperature control. The heating convector can be installed in the concealed way to integrated with the building interior decoration. CONPIN heating convector features fast temperature rise, high efficiency heat transfer, concise in appearance, and long service life. CONPIN fan heating features: large heating capacity, low noise fan, large air flow volume, light weighted, the air outlet louvers are adjustable, thermostat controlled, and easy installation/maintenance. Innovation on energy efficient products is our consistent commitment. We strive for perfection to perfect products and services. And we are working hard to provide even more. We pay extreme attention to detail and high standard quality. CONPIN floor buried heating convector features innovative design on heat exchanger, concise and elegant appearance, high energy efficiency and super performance stability. CONPIN product features concise in design, while we commit to provide healthy and comfort environment in an energy efficiency way! The product is elegant and stylish, concise means more. We are moving forward on our legendary path. 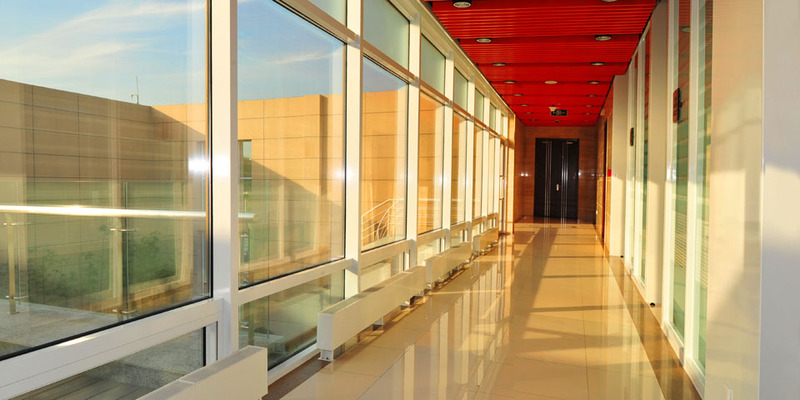 Pangu Plaza (Beijing) complex selected CONPIN heated air curtains and floor buried heating convectors. 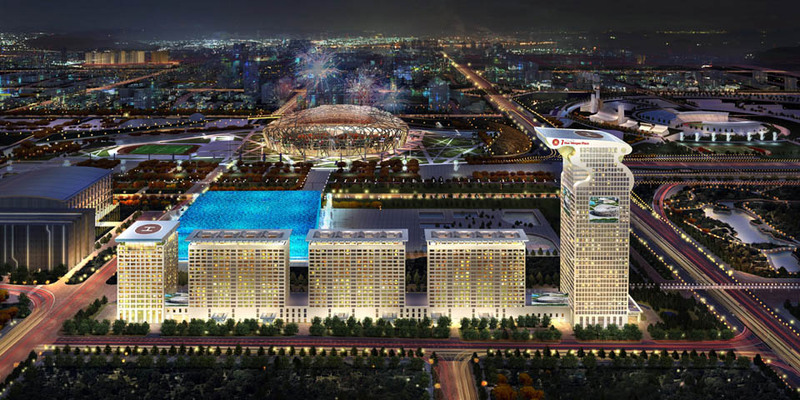 Pangu plaza complex is seated near the Water Cube, featuring breathtaking views of Beijing’s Olympic Park theatre of dreams. 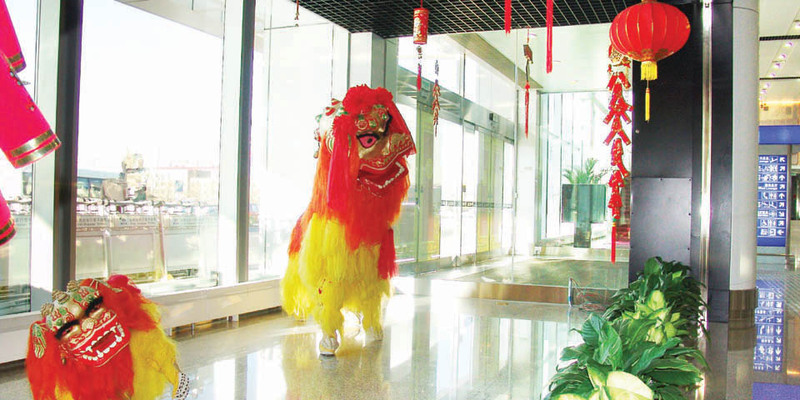 Pangu plaza complex include Pangu Luxury 7 Star hotel as well as world class office space, deluxe restaurants, conference rooms, lavish residences and the breathtakingly opulent Sky Courtyards. Beijing Capital Airport T3 Terminal employed buried tube-fin heating convector from CONPIN as their space heating equipment. Beijing Capital Airport business jet airplane building adopted tube-fin heating convector from CONPIN as the space heating devices. Dalian Heavy Machinery Equipment Co. Ltd. selected CONPIN’s side blowing heated air curtain duo. 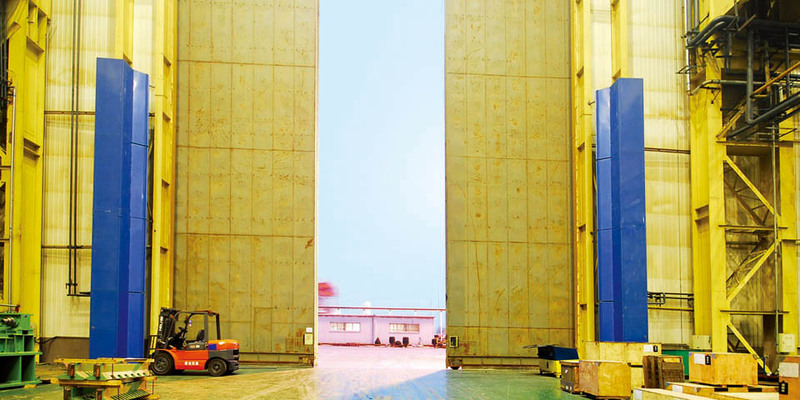 The air curtain sealed the door with height of 20 meters, with width of 30 meters. It is the largest air curtain in China. 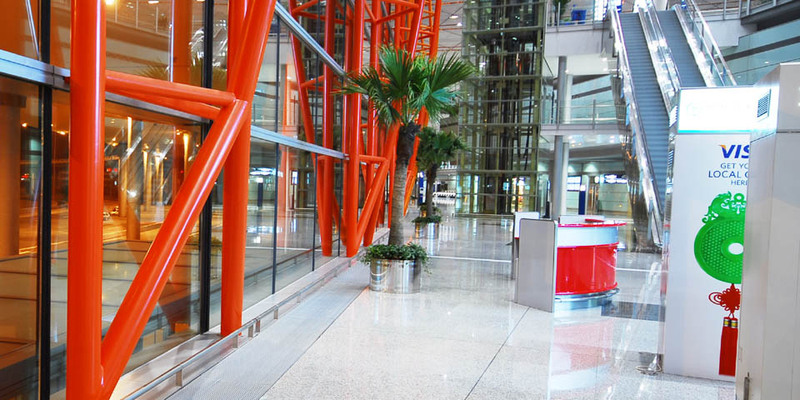 Beijing Capital Airport T1 Terminal employed CONPIN ceiling concealed hot water heated air curtains and electric heated air curtains during their retrofit.